Services: Hand lettering, hand painted logo, hand painted mural. CrossFit 9 reached out with the kind request to hand paint 2 of their own designs on the walls of their warehouse facility. The goal was to develop these murals at large scale to work as signage for the building, backdrop for photos and most importantly foster engagement. The hand painted murals transformed a couple empty walls into impactful pieces of art, providing the CrossFit 9 community a way to create photos and video and making the brand stand out across social channels. The logo and mural was hand painted using 2 colors (red and black) on a white background stucco texture, they measure over 14ft wide. 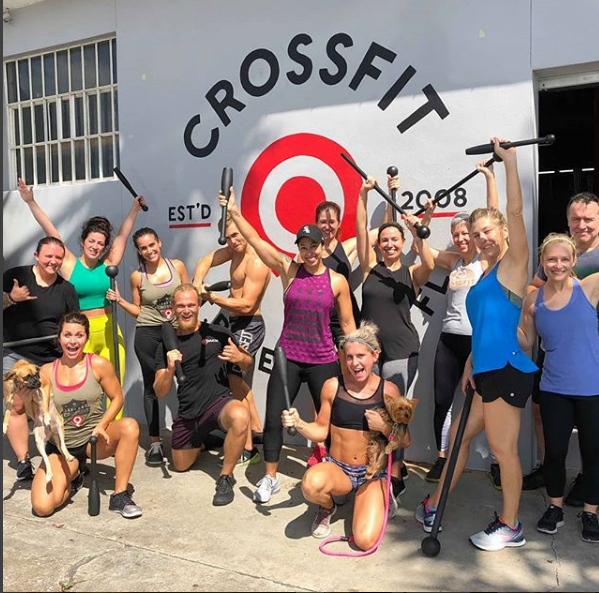 Crossfit 9 is located in the Warehouse Arts District in St. Petersburg, Fl.